The chief financial officer of French studio Gameloft says the $10 billion valuation of Zynga is proof that the social and mobile gaming business is riding a stock market bubble. Rule number one about bubbles: they burst. If you're lucky, you get a little bit of soap in your eye, it stings for a second or two and then you go back to playing in the yard. If you're less fortunate, you get to watch billions of dollars of market valuation get wiped out in mere days, leaving collapsed portfolios, devastated retirement savings and countless distressed investors in its wake. 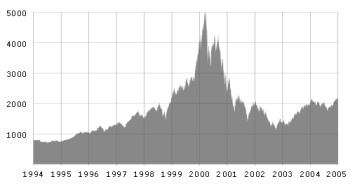 The "dot-com bubble" of the late 90s and the deflated housing bubble that the U.S. is still struggling with are two of the most famous recent examples of economic bubbles and the damage they can cause. Another big bubble that's just waiting to go pop, according to some observers, is the social and mobile gaming business. Yesterday's IPO of social network LinkedIn saw its share value skyrocket from an offering price of $45 to more than $120 over the course of a single day, before eventually closing at $94. That's a sign of looming trouble in the eyes of some European companies, who are putting off a public offering until they're on more stable footing and the market shakes out a bit. "I just want to keep my head down and build an amazing brand without getting too distracted by the offers of IPOs, investment bankers and discussions with media companies," said Mind Candy CEO Michael Acton Smith. "An IPO is something that we're considering but I think it's too early. There's still a huge amount of value to be built." Rovio, the studio behind the mega-hit Angry Birds, also said it intended to wait a few years before going public in the U.S.
One of the most telling indicators of trouble, said Gameloft CFO Alexander de Rochefort, is the runaway success of certain other game companies. Gameloft has been on the Paris stock exchange since 2000 and has considered a listing in the U.S., but de Rochefort has doubts. "Lots of our U.S. shareholders advise us to list on the Nasdaq because we'd get a share [price] boost of about 50 percent. But I wonder how long this upside can last," he said. "I'm sorry but when Zynga is worth $10 billion, something is a bit strange," he added. "If this is not a bubble, I don't know what is."